Microdermabrasion was discovered in the U.S.A. and, in 2011, just under 500,000 treatments were performed in America, a rise of 10.8% on 2010 figures. These statistics come from the American Society For Aesthetic Plastic Surgery (ASAPS), and they make microdermabrasion the fourth most popular cosmetic procedure in that country. Microdermabrasion is one of the category of treatments such as botulinum toxin (Anti-Wrinkle Injections, dermal fillers and superficial chemical peels where the treatment session is short, with few side effects and virtually no time off work. Microdermabrasion stimulates the production of new skin cells and collagen.It erases epidermal layers at varying depths in a safe, controlled manner. Less aggressive than laser resurfacing, microdermabrasion is a non-surgical treatment that does not require an anaesthetic. Our microdermabrasion treatments only take 35-45 minutes. The Microdermabrasion treatment at our clinic has a unique blend of crystals and leaves an organic finishing touch. Movement of these crystals under pressure loosens and partially removes the outermost epidermal layer of the skin in a kind of “sandpapering” effect. It helps improve the appearance of the skin and the circulation and generally gives the skin a healthy glow. Once the outer layer of skin has been removed, the layers of skin beneath then increase their production of new skin cells to renew the surface layer. Microdermabrasion at the London Medical Aesthetic clinic delivers a steady, effective stream of fine crystals directly onto the skin. The old surface is removed, leaving it smooth, fresh, and rejuvenated. A single Microdermabrasion treatment can remove as many dead skin cells from the outer layer of skin which a three glycolic treatments would require. The treatment encourages better cellular renewal which improves elasticity, overall texture and reduces signs of ageing.The vacuum and medical grade crystal controls are flexible, so patients can tailor their treatment for their individual skin type needs. 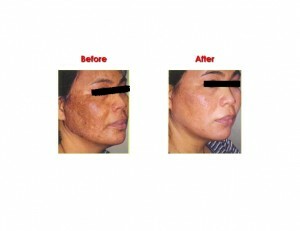 Instant, visible results are produced as the treatment does not require any recovery time . It is a very simple treatment that’s ideal for dull, oily skin, enlarged and clogged pores, fine lines and minor scarring. It works for all kinds of skin and there’s no pain or downtime. Our system is the most desirable option in microdermabrasion treatment in London. It leaves no redness and can help to minimize the most difficult skin conditions, or to rejuvenate and maintain the health of the skin. A series of treatments achieves the best results, allowing for more effective control and a focus on individual skin conditions even if the skin is being treated or has been treated with other laser treatments such as Laser hair removal. This approach respects the integrity of the skin and promotes even healing. Maintaining level cellular growth on the surface aids in the youthfulness of the skin’s appearance. On average, we renew our skin surface every 10 days. However, with age, poor health, or lack of care, cell renewal may be considerably slower. At The London Medical and Aesthetic Clinic we offer free consultations for microdermabrasion and skin assessment. Please contact us to arrange your appointment.